Users can perform rapid high-quality metals analysis with a customizable software solution for optical emission spectrometers. The Thermo Scientific™ OXSAS™ Optical Emission Analytical Software is a flexible and powerful platform that runs a range of analysis, including a rapid high-quality routine elemental analysis and the development of innovative analytical methods and calibrations. 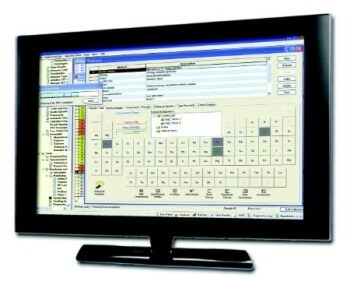 The OXSAS software platform can perform many operations, from simple tasks to complex jobs, with just a single click. It is designed to evolve to meet the requirements of users throughout their instrument's lifetime. SCT Manager: The SCT sample status and history provide the overview of the analytical capability of the tool and of each method any time. OXSAS supports the Spark option of the Thermo Scientific™ ARL iSpark™ and of the Thermo Scientific™ ARL 4460™ Optical Emission Spectrometer. It enables complex calculations such as element soluble/insoluble or elements inclusions, like number, size and chemical composition, with no extra analysis time.